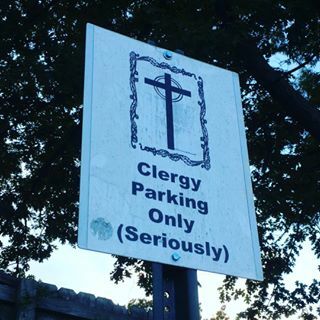 Behind Manuel’s Tavern, there are prime parking spaces reserved for clergy. I may be able to use one now. I say so because I officiated a wedding Saturday. I did so by virtue of my ability to click through an internet site, and find the “get ordained” button, which I clicked. A page popped up congratulating me on my new status as a minister of an internet church. The same site also had a state-by-state summary of laws describing whether a person ordained by clicking a button on the internet could legally officiate a wedding. States have a public safety interest in who can become police officers, lawyers and dental hygienists. There are boards which regulate them. But it appears most states have virtually nonexistent laws regulating preachers. This is as it should be, of course — just as there is a scarcity of laws regulating journalists. Both jobs have implied “hands off, big gub’mint” protection in the first amendment of the US Constitution. Any bozo with a blog and a willingness to use it can legitimately describe him / herself as a journalist. It tends to confuse things, sometimes, when folks want to interact only with news media they view as legitimate or “credentialed.” Yet it turns out plenty of bloggers are credentialed at Georgia’s state capitol, one of the few places in Atlanta that actually scrutinizes the “legitimacy” of journalists. But who should decide that I, an internet “clergyman,” isn’t fit to perform a marriage? The happy couple, that’s who. And Saturday, Denise and Josiah viewed me as sufficient. They had a legit marriage license. 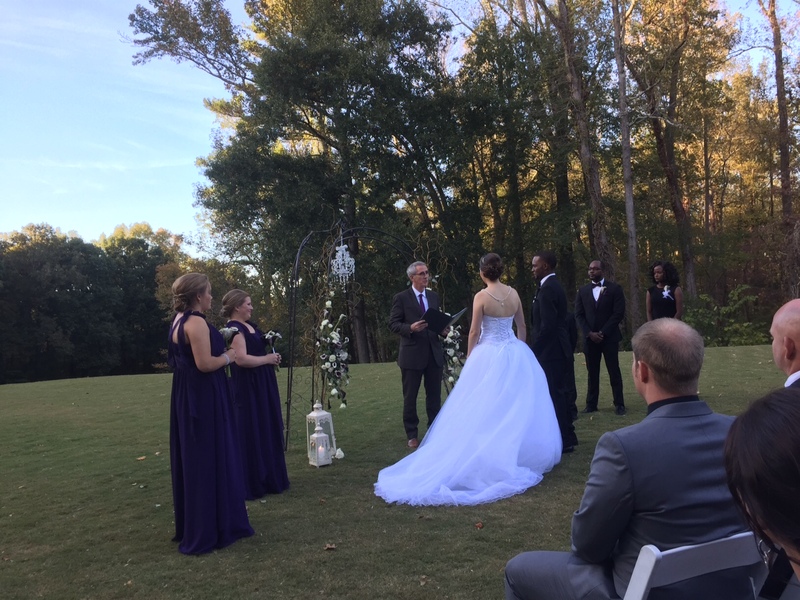 That’s the document the state of Georgia does require and may occasionally even scrutinize — but apparently not for the bona fides of the officiant who pronounces them husband and wife. I pulled the ceremony from the internet and lightly rewrote it. I trod very lightly in religious language, but strengthened material that lectured the happy couple on how to maintain a long-term relationship. I felt I was a legitimate purveyor of such counseling. In this ceremony, we will witness the joining of Denise and Josiah in marriage. Freunde, wir haben uns in Anwesenheit dieser Zeugen hier versammelt, um Denise und Josiah in der Ehe zu vereinen. I now pronounce you husband and wife. Hiermit erkläre ich Sie zu Mann und Frau. I practiced reading those lines out loud a lot. Also eliminated the line that says “by the power vested in me…” substituting the TV news phrase “with that…” The line about “power” seemed a presumptuous word to use for a guy who surfed the web to get it. Clint holds his own against his younger sister. Our three year old, Yvonne, was the flower girl. She did a nice job of tossing rose petals. She also dragged it out a bit. She knows she’s cute. She seemed to believe the attendees were gathered to see her. The ceremony was not flawless. I realized that my text had the groom saying twice the “I Josiah take you Denise” line, failing to flip the line to the bride. I also spotted some duplication immediately after. I had to sort that out during what the wedding party (said they) thought was simply a well-timed dramatic pause. The wife, on the other hand, knew something had slipped up. Yes, I had practiced the ceremony. But apparently I failed to fully proof-read my copy. I should have had a second set of eyes on it. Otherwise, the performance felt solid. The attendees seemed to like it. The couple beamed. Some German speaking people in the audience said my attempt at uttering phrases in their language wasn’t too awful. The experience was very gratifying. Afterward, one of the attendees asked me if I was Jeff Dore. Of course. 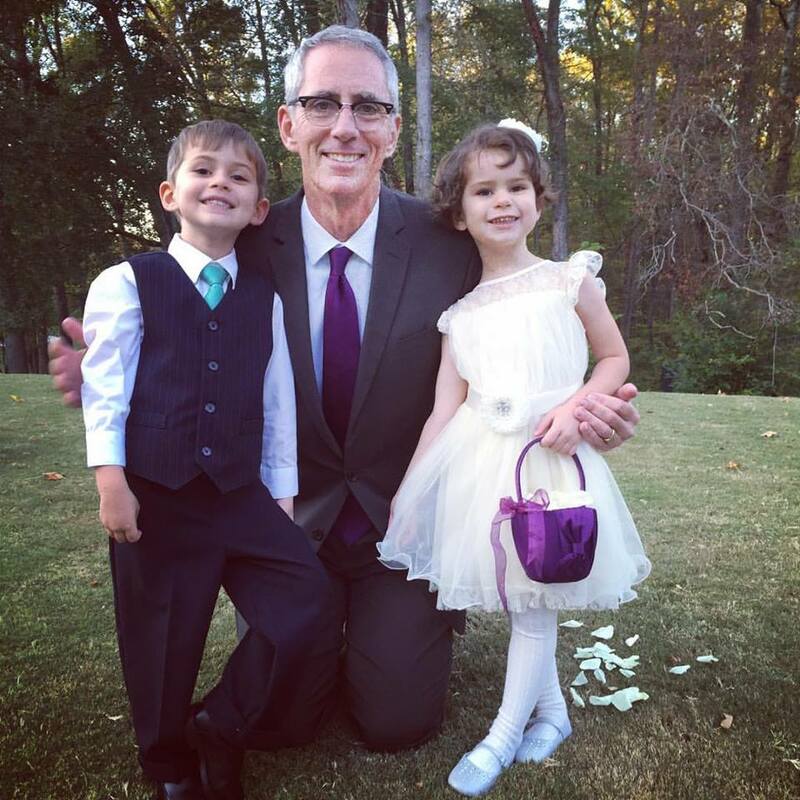 If Jeff, as a retired newsman, isn’t conducting weddings by now, he should be. Then he and I could vie for those coveted “clergy” spots behind Manuel’s tavern. This entry was posted in Uncategorized on October 18, 2015 by live apt fire.